In this week's Friday Free Plug-in, we are featuring Noisemaker From TAL. 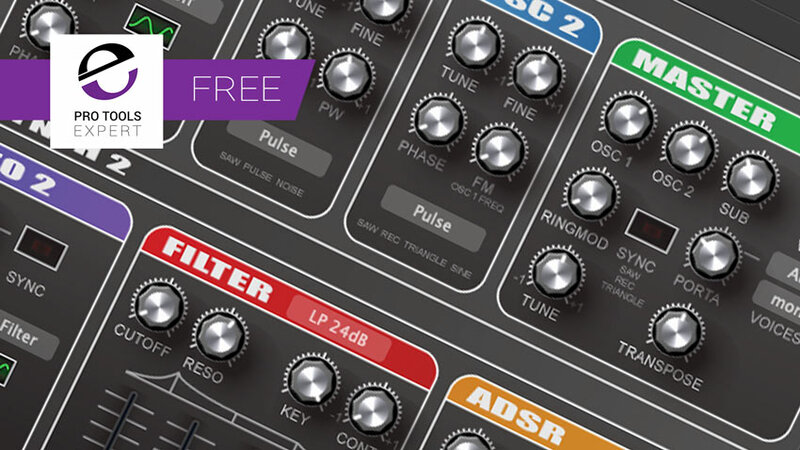 A free subtractive synth with three oscillators and seven filter types. In this week's Friday Free Plug-in, we are featuring sTilt, a tilt style EQ which sounds great and offers a few extra features to make it even more useful. In this week's Friday Free Plug-in, we are featuring WS-1, A simple chorus pedal plug-in from Mercuriall. It’s a chorus pedal which sounds nice and shimmery when used sensibly and anywhere from wobbly to woozy when cranked up, and it’s free! 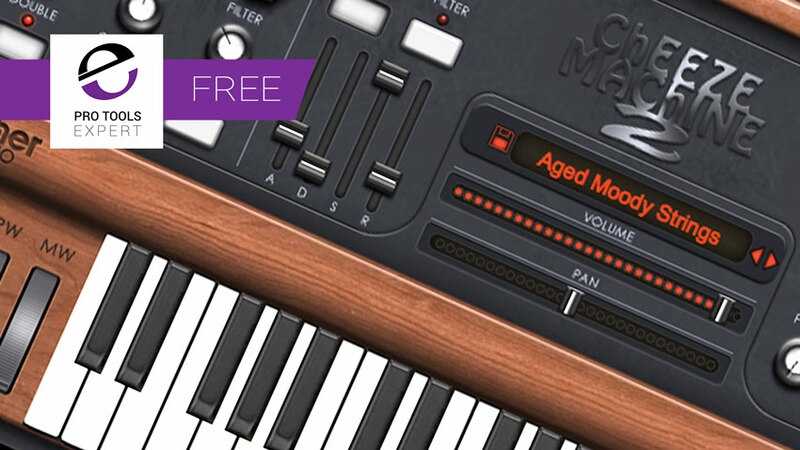 In this week's Friday Free Plug-in, is FreeAMP from Klevgrand. A great sounding free saturation plug-in, which looks pretty and can sound pretty filthy. In this week's Friday Free Plug-in, we are featuring Frontier from D-16 Group. 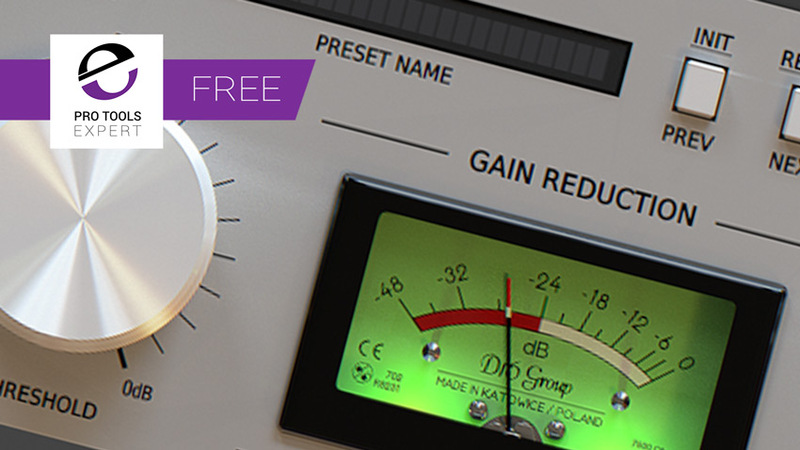 A free limiter plug-in which is easy to use and sounds as good as it looks. In this week's Friday Free Plug-in, we are featuring 2S from 2ndsense Audio. A free EQ with an analyser. In this week's Friday Free Plug-in, we are featuring Cheese Machine 2 from 2gether Audio. A free ensemble string machine synth which excels at pads and strings but is capable of much, much more. 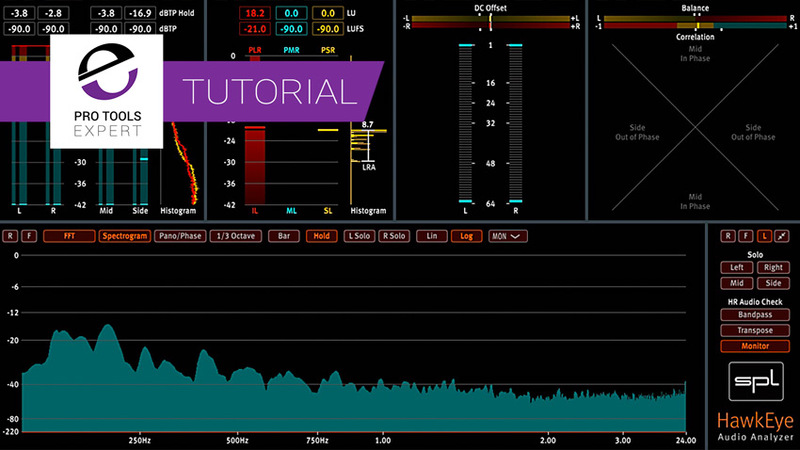 In this week's Friday Free Plug-in, we are featuring Muteomatic from SoundRadix. A simple plug-in which automatically mutes or opens during playback, incredibly useful for talkback in studios and a few other things too. 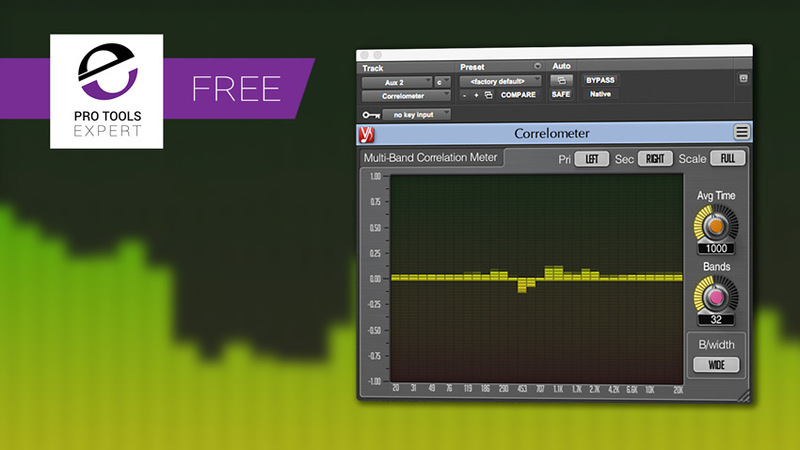 In this week's Friday Free Plug-in, we are featuring Correlometer from Voxengo. A stereo multi-band correlation meter useful for identifying phase issues in mixes. In this week's Friday Free Plug-in, we are featuring A1StereoControl from Alex Hilton. A versatile utility plug-in for manipulating stereo audio which adds some useful and important features which are missing from the Pro Tools mixer. In this week's Friday Free Plug-in, we are featuring Quad Comp From T-RackS. A four band multiband compressor but hurry, this offer is only open until the 14th of February. Hawkeye from SPL is a comprehensive metering plugin which offers unique features like bit-depth analysis and high frequency monitoring. In this free video tutorial, brought to you with the support of Plugin Alliance, Pro Tools Expert team member Julian Rodgers uses the bit monitor in Hawkeye to demonstrate how bit depth changes through the Pro Tools mixer. 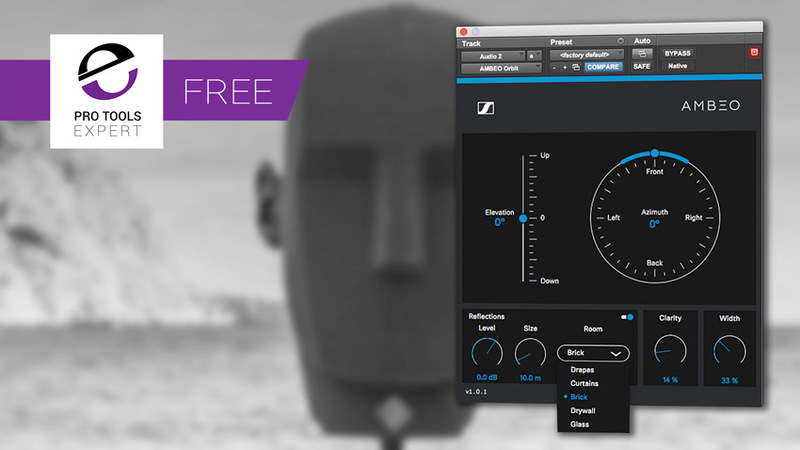 In this week's Friday Free Plug-in, we are featuring Ambeo Orbit From Sennheiser a free binaural panner plugin, designed to facilitate mixing conventional mono or stereo audio in with binaural audio by recreateing the spatial cues which place sources in binaural space. The Louder Than Liftoff Chop Shop EQ is a simple, powerful EQ which combines a high and low pass EQ with a tilt style focus filter as well as some other tricks. In this free video tutorial, brought to you with the support of Plugin Alliance, Pro Tools Expert team member Julian Rodgers uses the Lo-Rider feature of Chop Shop to add weight to the kick drum in a session. Steven Massey has emailed to Massey Plugins users to announce that AAX plugins set to return to Windows in 2019. To get things going there is a beta version of the L2007 Mastering Limiter is now available to existing users. The installer can be found in the login area of the website. so you will need to be a Massey Plugins user to access the beta. Steven has stated that “This plug-in only works with Windows 10 and there are corrections I still need to make but it's feeling stable and useable. See the "release notes" file in the downloaded .zip for details on known issues. It’s great to finally hear some news from Massey Plugins. They make some great plug-ns that have gone off the radar, so it is really good news to see things happening. Steven has announced Windows 10 Beta versions for TD5, TapeHead and vt3 as well as the L2007 announced in January 2019. As with the L2007 these installers can be found in the login area of the website. First, sound is more important than numbers. Numbers on knobs have little meaning in the context of artistic creation. They are simply symbols to help mark your way. In this week's Friday Free Plug-in, we are featuring Greed Smasher From Mercuriall, a free audio plug-in based on a MESA/ Boogie Grid Slammer Overdrive guitar pedal. The Louder Than Liftoff Chop Shop EQ is a simple, powerful EQ which combines a high and low pass EQ with a tilt style focus filter as well as some other tricks. In this free video tutorial, brought to you with the support of Plugin Alliance, Pro Tools Expert team member Julian Rodgers uses the Chop Shop to bracket and thicken the guitars in a session, controlling the high end while adding a little weight to the bottom end. In this week's Friday Free Plug-in, we are featuring Action Tremolo From Noiseash, an advanced pan and volume modulation unit with an analog saturation engine, a custom shape envelope follower and a 32-step sequencer. Try it! The SPL Iron Mastering compressor From Plugin Alliance is a transparent compressor, inspired by the vintage compressors which is versatile enough to adapt perfectly to the needs of modern mastering studios. Pro Tools Expert team member Julian Rodgers looks at the unfamiliar Rectifier control which emulates the different rectifiers available in the hardware unit.